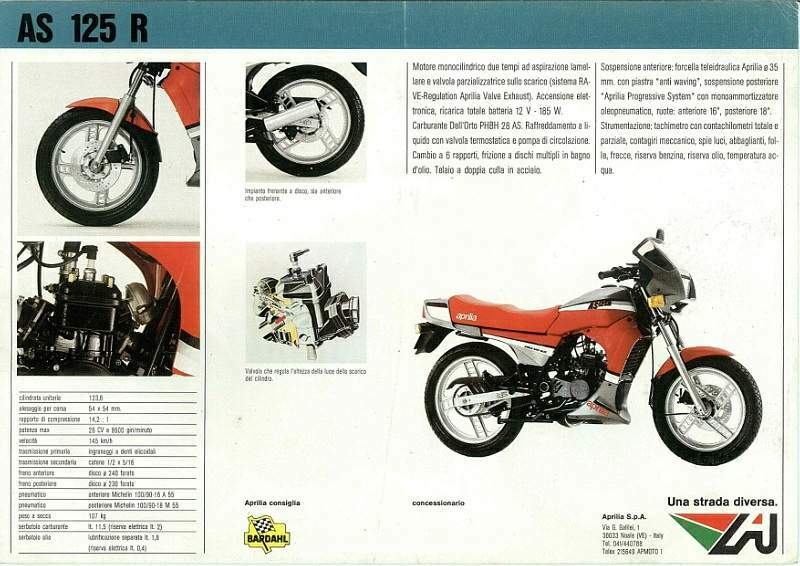 Presented in Gardone Riviera in May 1985 and sold soon after, the AS 125 R, where R indicates the presence of the new Austrian Rotax engine instead of the previous Hiro, is like his ancestor ST 125 of 1983.. The AS-R can indeed be called a slight evolution of the previous ST and STX models with regard to aesthetics and cycling, although the new Rotax engine is totally new. Characterized by the presence of the exhaust valve and RAVE (Regulation Aprilia Exhaust Valve), the modern engine Rotax 127 provides outstanding performance that transform the leadership of the AS-R, making it not only more robust but also more mature tha its ancestor STX. 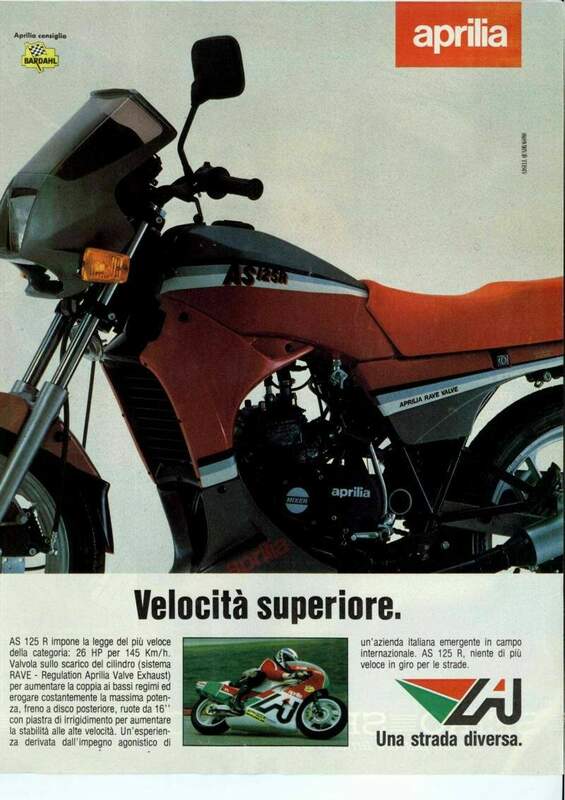 The AS-R is therefore a more powerful bike and most of STX fun to drive, though not as refined as the Honda NS-F is regarded a the best 125 of 1985. 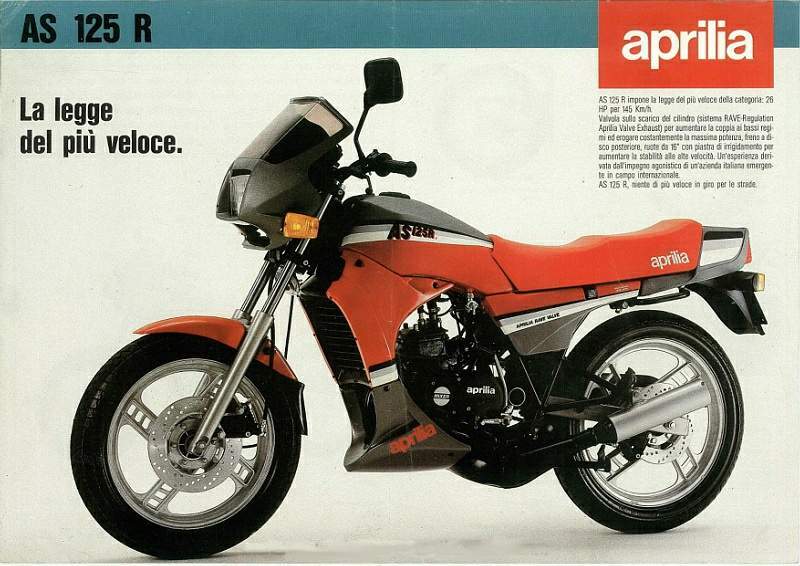 Curiously enough for Aprilia, the AS-R proves long-lived enough to stay in production throughout 1986 without any special changes, just long enough for men of Aprilia to present the revolutionary Aprilia AF1 Project 108, 1987. Price in 1985: Lire 3,430,000 turnkey.